During every intermission I include at least one story from the European Theater. This following article showed me once again the honor and humility that was common to the Greatest Generation. Perhaps it was the way he carried himself in an unassuming and humble manner, but day after day hundreds of Air Force Academy cadets would pass this janitor in the hall oblivious to the greatness that was among them. In the mid-1970s, William Crawford might spend one day sweeping the halls and another cleaning the bathrooms, but it was a day approximately 30 years prior that would create for him a special place in the history of war. In 1943 in Italy, the only thing Private William Crawford was cleaning out was German machine gun nest and bunkers. 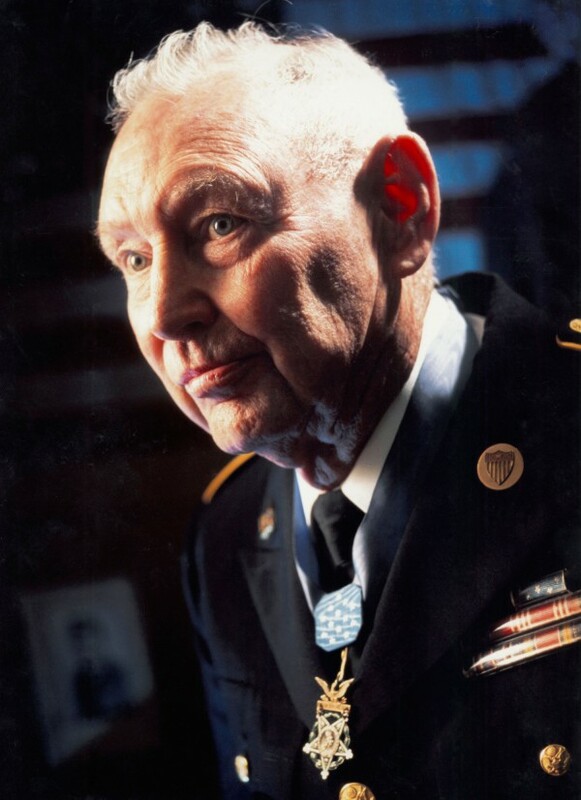 Under heavy fire and at great risk to himself, his gallantry was so audacious that it earned him the Medal of Honor and the respect of any man who witnessed his actions. And yet, for the cadets at the Air Force Academy, it would take a student’s study of the Allied campaign in Italy to realize who it was that walked among them. Once the cadets realized the humble janitor was a recipient of the nation’s highest military honor, that would never be able to look at him the same and the secret was out. William Crawford was born in 1918 in Pueblo, Colorado. For Crawford, he would always call the state of Colorado home despite serving a long career in the military where he was assigned to various duty stations. It was after retiring from the Army that he returned to Colorado and took up his job as a janitor at the United States Air Force Academy in Colorado Springs. The cadets would report that the shy janitor they only knew as Mr. Crawford simply blended into the background as he did his job without much fanfare. However, when one of the cadets began reading a book detailing the Allied advance through Italy he came upon the story of a medal of honor recipient named William Crawford. He would then be taken back to that fateful day in Italy and recount the story as only the man who lived it could do. By September 1943, the Allies were pushing through southern Italy slugging it out with a resilient German army. For Crawford and the 36th infantry division, that would place them near Altavilla Silentina with orders to take Hill 424. On September 13th, Company I was assaulting the enemy help position on the hill when the entire company was pinned down by intense machine-guns fire and mortars. Serving as the squad scout for third platoon, Private Crawford was near the front of this assault and located the first of the gun positions wreaking havoc on the company. Without orders, he took it upon himself to eliminate the threat single-handedly. Under heavy fire, he crawled forward to within a few yards of the gun and placement and lobbed a grenade directly on top of the three defenders. Meanwhile, the rest of the company finally made it to the crest of the hill when they were again coming under fire from two more machine gun nests entrenched in a higher ridge. Again on his own initiative, Crawford set out to destroy the threat. 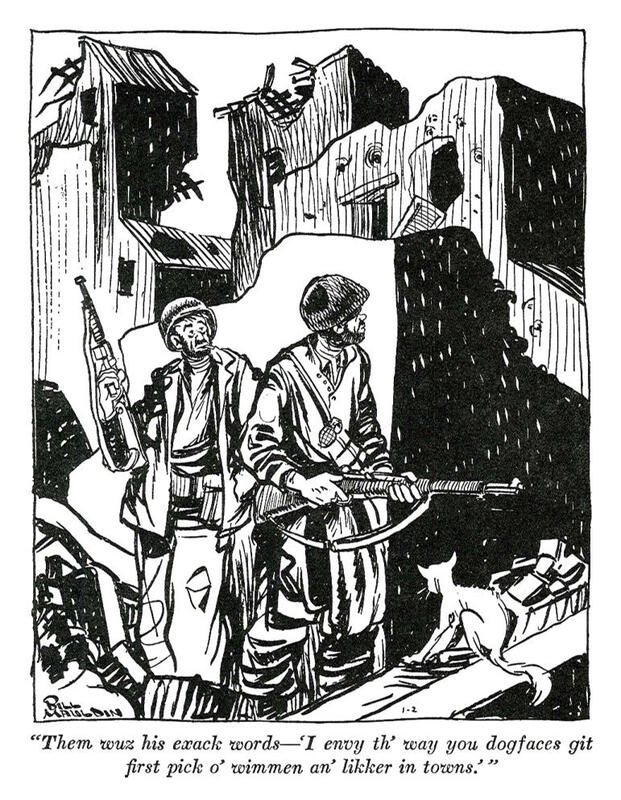 Crawling under the storm of bullets, Crawford came upon the first machine gun nest and with perfect accuracy once again landed a grenade right in their lap. Moving on to the second gun, he was able to take it out of action causing the rest of the defenders to flee as they opted not to stick around for a visit from the man they had just watched single-handedly destroy three entrenched positions. Thanks to Crawford’s gallant actions, Hill 424 was successfully overtaken and the Allied advance continued. Unfortunately for Crawford, his position at the front of the assault would eventually lead to his capture by the Germans during the chaos of the battle. The rest of the company had believed Crawford was killed in action as reports of his gallantry advanced up the chain of command. 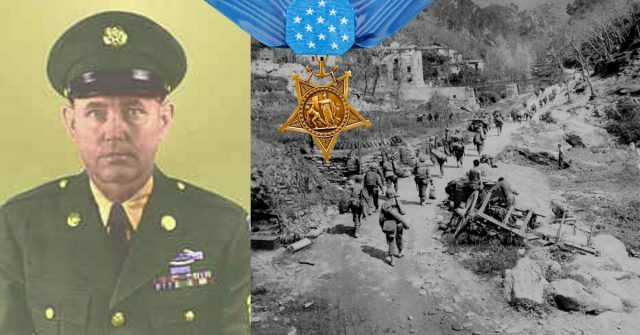 And for his actions that day in Italy, William Crawford was posthumously awarded the Medal of Honor, but that is not where the story would end. George Crawford receives his son’s medal. In 1944, the medal was presented to his father who accepted it on behalf of his son he presumed to have died in combat. But later in 1944 when a group of soldiers was rescued from German captivity, it turned out William Crawford was among them, oblivious to the fact that he was now the recipient of the nation’s highest military honor. 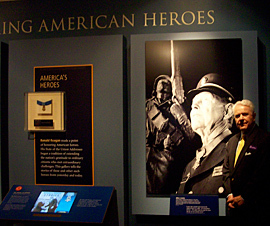 Crawford would continue to serve in the military after World War II and retired in 1967 at the rank of Master Sergeant. After his distinguished and yet humble career in the military, this unassuming man would take a job as a janitor at the United States Air Force Academy in Colorado Springs. It was here in 1976 that the truth would come out, and future Air Force officers would get a lesson in both gallantry and incredible humility. As the cadets looked to their janitor with a newfound respect, they would eventually coax the painfully shy man into speaking about his experience to the next generation of leaders. 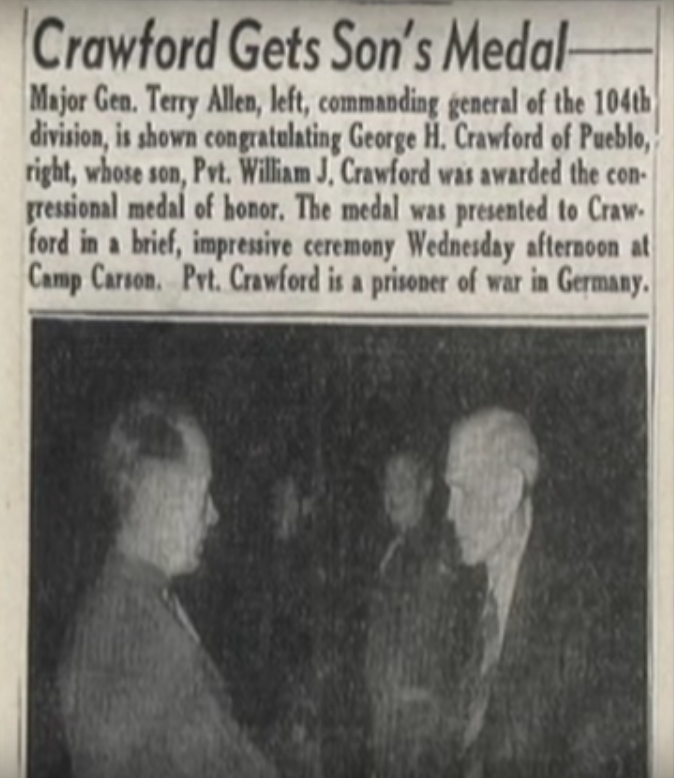 In one exchange, Crawford related the point that he never personally received his Medal of Honor with any ceremony due to his captivity and presumed death. The students and staff of the Air Force Academy would remember this fact and see to it that he had his day. n 1984 when Pres. Ronald Reagan came to speak at that year’s graduation ceremony; they had arranged for their gallant janitor to finally stand face-to-face with the President of the United States and receive his due commendation. 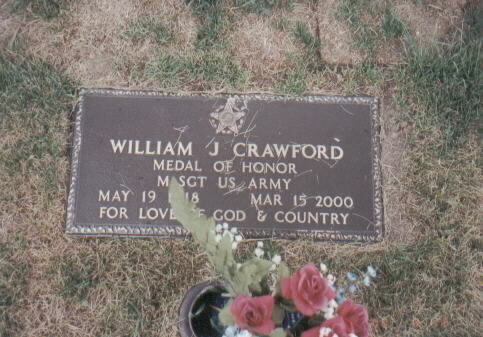 William Crawford died at the age of 81 in the year 2000 at his home in Colorado. 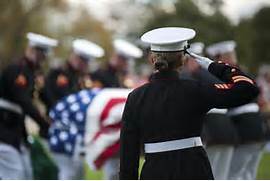 And although Crawford was a veteran of the Army, he would become the only non-U.S. Air Force enlisted person buried at the United States Air Force Academy Cemetery in Colorado Springs. The cadets regarded him as one of their own and gave him all the respect such a man deserved. Brendan Johnson – Colchester, VT; USMC, Master Gunnery Sgt. William J. Kundrat – MD & NC; USMC; SSgt. Joshua Snowden – Dallas, TX; SSgt. Posted on July 13, 2017, in Uncategorized. Bookmark the permalink. 152 Comments. Thank you. I must admit, this was quite a story!
! I had a talking with George Akiyama here in Hood River about his warfare experiences and he just said, “We always went for broke” that was our society motto. Mr. Akiyama depicted their spirit in the ‘short and sweet’ mode. No time wasted with flowery explanations – just the facts! Thank you very much. Each one of these stories need to be read and handed down to the younger generations. It is quite a story – right? You just just never know who you’re talking to, eh? Just goes to show you – you never know who you’re talking to, eh? Thank you. Fantastic story Sir, one that I knew nothing of, thank you for posting it. I am going to reblog this article for you. Tell your father thank you from me as well. I absolutely loved this story! This is precisely why you never judge a book by the cover. A humble and quiet janitor turns out to be a military hero! I am soooo glad that he was finally able to receive what he deserved! So agreed, Lady G. I’m glad you enjoyed the story – he was quite a man! The better they are, the more modest they are, eh? Thank you for sharing this with your readers. This is an amazing story of such an accomplished soldier but a truly humble human being. Thank you for sharing it. 🙂 If you had a ‘love’ button on this one, I would have pressed it for sure. Thank you so much for the recognition of this wonderful man! It seems to me that the greater the man, the more confident he is and humble seems to follow suit. It shows his character!! Thank you. Looks like we never know who we happen to be standing by, eh?